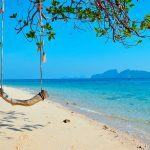 Krabi itinerary blog — Krabi, a new beach paradise in Southern Thailand - Living + Nomads – Travel tips, Guides, News & Information! 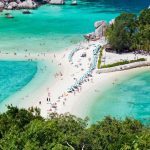 When talking about beaches in Thailand, everyone seems to mention Phuket – the most popular place with white powdery sand beach stretching under the shade of coconut trees. 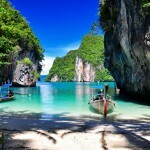 However, in recent years, Krabi has risen as a new ideal choice when Phuket is overwhelmed with visitors. 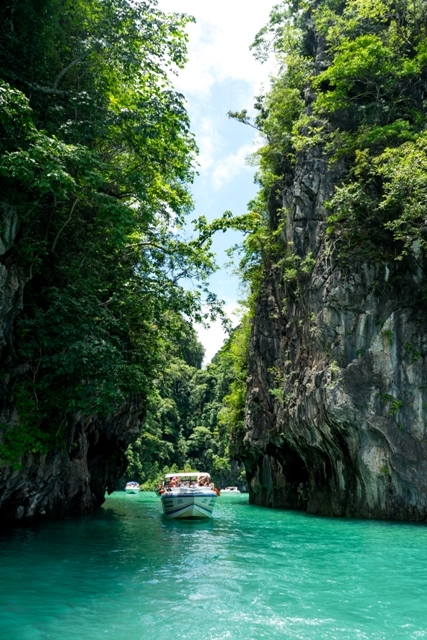 As beautiful as Phuket, Krabi is quieter and perhaps even more charming in its own way. 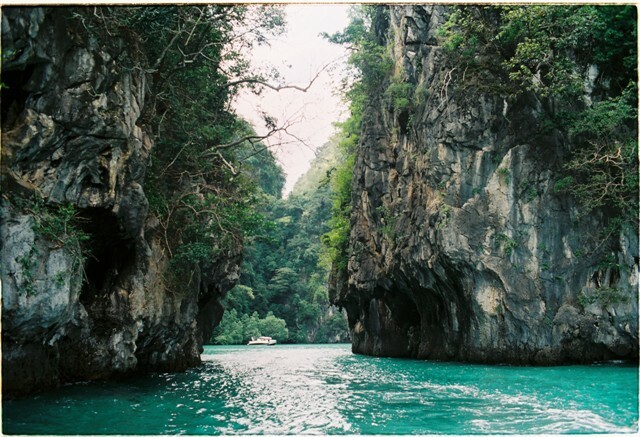 The charm of Krabi first comes from magnificent limestone islands standing out in the blue sea. 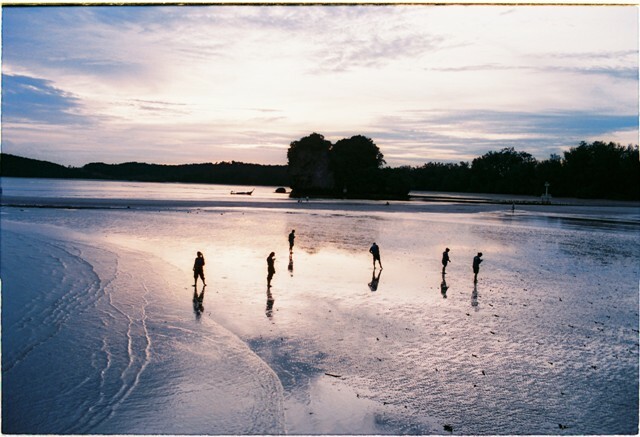 There are various tours for visitors as each group of islands and islet has its own distinct beauty. 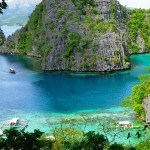 Some islands are renowned for coral reefs while others offer guests sights of colorful fish swimming happily about. Some islands are home to wild cats. There are even groups of islets creating an “oasis” in the ocean. 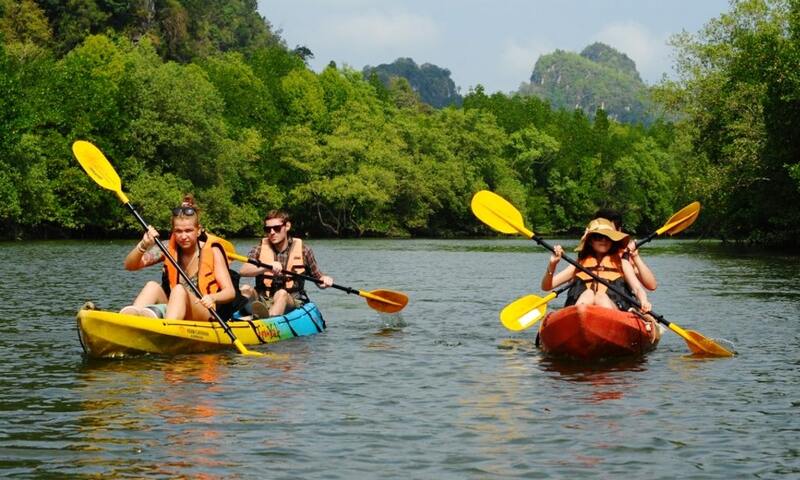 What impressed me most during my stay there was kayaking in Ao Thalane by the most beautiful mangrove forest in Thailand. To start the journey, we kayaked through a calm area. I couldn’t choose the right words to express how imposing the limestone cliffs were. When approaching them, I felt as if they were about to collapse on us. At that moment, should you venture there yourself, perhaps you will feel as I did, knowing how tiny we all are before the impressive mountains and endless ocean. Following our humorous and enthusiastic guide in our silent kayaks we crossed past cliffs, beaches, and islets before becoming immersed in a new world of lush mangroves. We swept through the “fjords”, sometimes bending down to sail through a maze of roots or go through low caves. The most frightening yet intriguing experience was getting lost in the “battle” of two aggressive groups of monkeys. The monkeys are usually friendly and just a bit mischievous. However, when they must fight for food, they have a temper to be reckoned with. Sometimes, when we met other groups kayaking from the opposite direction, our guide kept asking them “Hey guys, did you see crocodiles and snakes that way?” This kind of question made us both excited and scared. It took us 4 hours to paddle about 12km, but no one felt tired, just more eager to continue on. To complete the kayak course, we stopped at a pretty beach and enjoy swimming there a while. 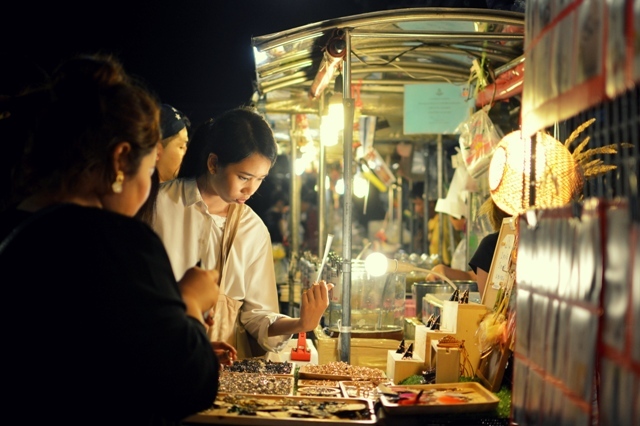 The night in Krabi was effervescent with restaurants and bars along the beach. After enjoying dinner and live music at a local restaurant, we strolled down the town to buy some souvenirs. On the way, we stopped at a rock bar. I am not terribly interested in rock music, yet when entering the bar, I was enticed by the exciting music and great performances of drum-players and the female singer. One of my friends, a true rocker at heart, thoroughly approved of the bar. 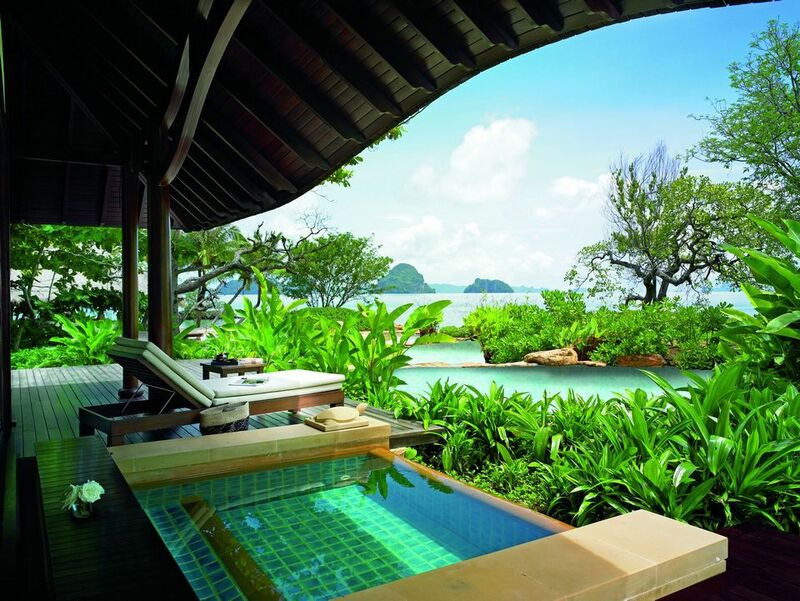 Your trip to Krabi wouldn’t be complete without a Thai massage. Massage salons can be found at every corner. The staff are professional and caring. What would be better than ending your day of kayaking with relaxing Thai massage therapies? 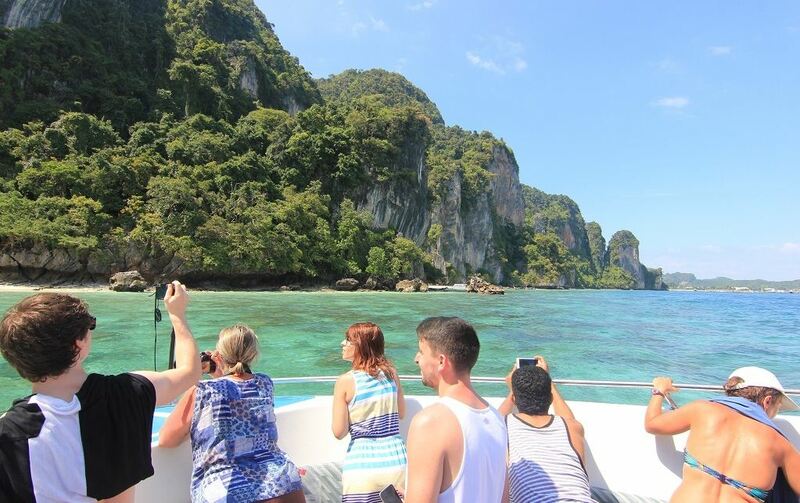 On the second day in Krabi, we joined in a tour to Koh Hong Island. 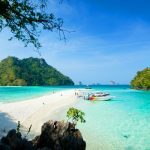 I decided not to visit nearby Koh Phi Phi which is too popular with visitors. 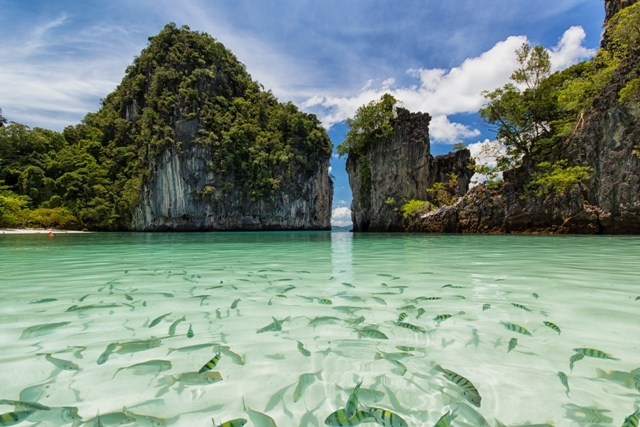 Koh Hong is a small island featuring plenty of pretty fishes. We rented an express boat that was not much more expensive than sharing a boat with other visitors. The boat can carry about 30-40 people for 800 bath (about 22USD)/ pax while for our charter boat, we, a group of 12, only paid 1000bath per person. In the morning, the passenger car picked us up at the hotel. It took only 5 minute to reach the wharf. I was really impressed by their professional manner in taking care of clients. The driver came on time, transferred us to the wharf, introduced us to a sailor and then the sailor guided us to the boat. There was nothing required of us but to enjoy the trip. More than that, we were allowed to freely walk on the boat. This was one trip which was hands down really worth the money. 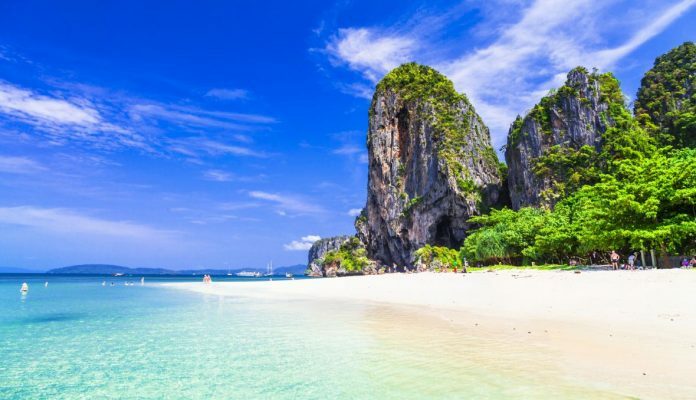 Ao Nang – one in the two famous spot in Krabi. Our first destination was Ko Lao Lading, a small island with lovely wild cats. There is a stunning pathway leading inland past the beach. After taking a short rest there, we continued to Koh Phak Bia, a cluster of islets connected by a road under the sea. When the tide is low, the road appears as a long stretch of white sands, similar to Diep Son in Khanh Hoa Province, Vietnam. Numerous exotic fishes can be found there. 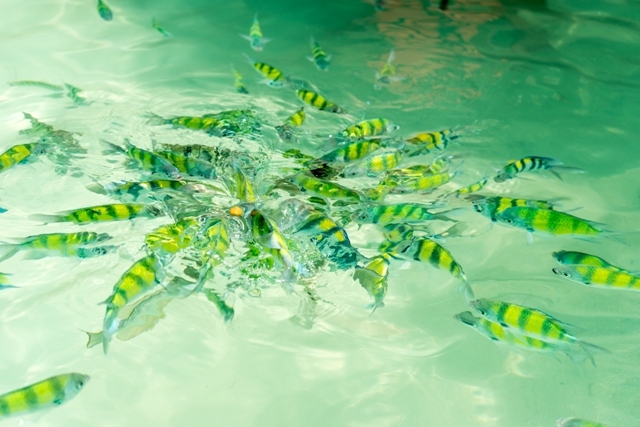 Schools of zebra fish happily swim around. You can dive along the stone around the island to “make friend” with them should you feel so inclined. Be aware of waves if you don’t want to hit the cliffs. After about one hour, we got back to the boat, and travelled to Hong Lagoon – the most renowned lagoon among the many lagoons in Krabi. The Hong Lagoon is enchanting with its signature emerald water. You can also visit a small mangrove forest on the exclusive road. As the boat was sweeping through the natural gate formed by two high cliffs, everyone got excited about the beauty of this lagoon. 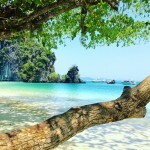 We finally reached Koh Hong at noon. We set a large table near the water, under the shade of trees and got ready for a well-prepared lunch. As we rent a private boat without a guide, lunch wasn’t included. Instead, we bought food at Ao Nang, the main tourist hub of Krabi, the day before heading to Koh Hong. While we were relaxing on the beach, one of my companions frantically ran back and informed that he just saw a lizard which was as big as a human walking on the beach. We all followed him to meet the giant iguana. 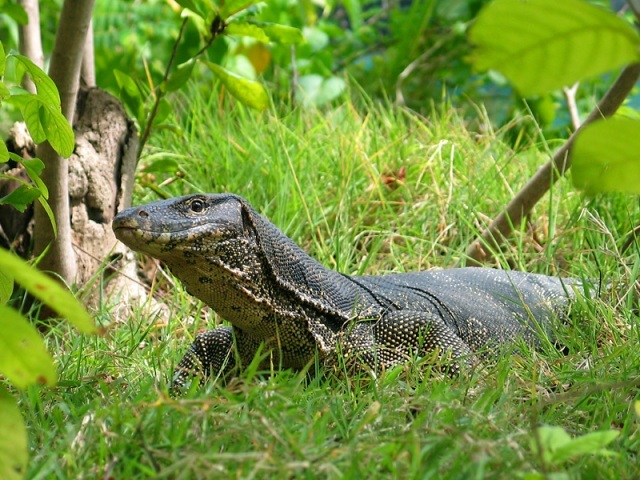 It was the biggest lizard that I have ever seen. 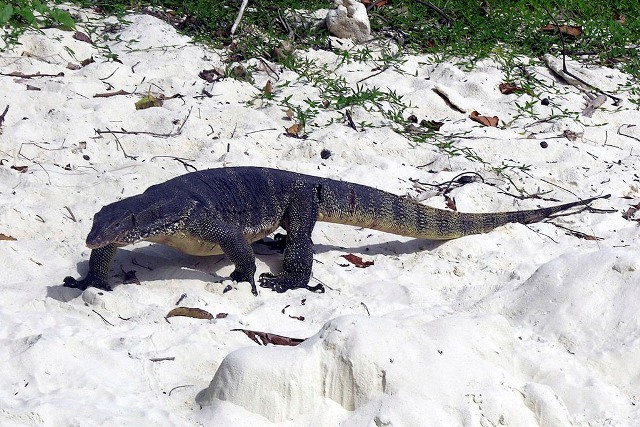 The 2 meter long iguana was strolling down the beach, searching for food. There was no sign showing that it was about to notice us, let alone give much of a care about our presence. Said goodbye to our giant friend, we started enjoying our diving trip. 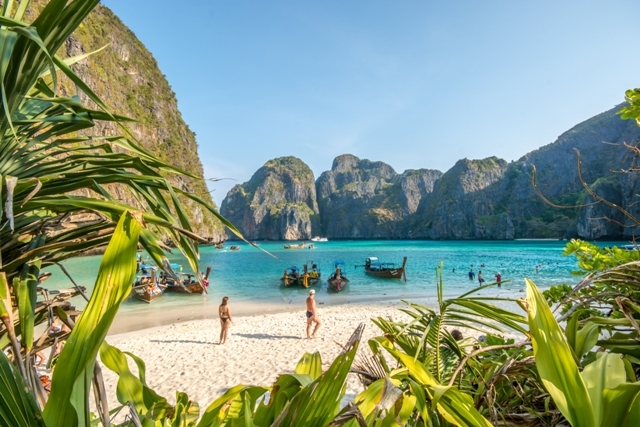 Koh Hong has been listed by the BBC as one of the most beautiful beach in Asia. However, powdery sand beach with turquoise water is not the most attractive thing to visitors. Its distinct attraction comes from the colorful fishes that seem accustomed to the presence of people. We considered them friends and had great fun with the little companions of the sea. You can fly with Nok Air, Jetstar, Vietjet, Air Asia, or Thai Airways from Hanoi or HCMC to Suvarnabhumi or Don Muang airport (Bangkok). 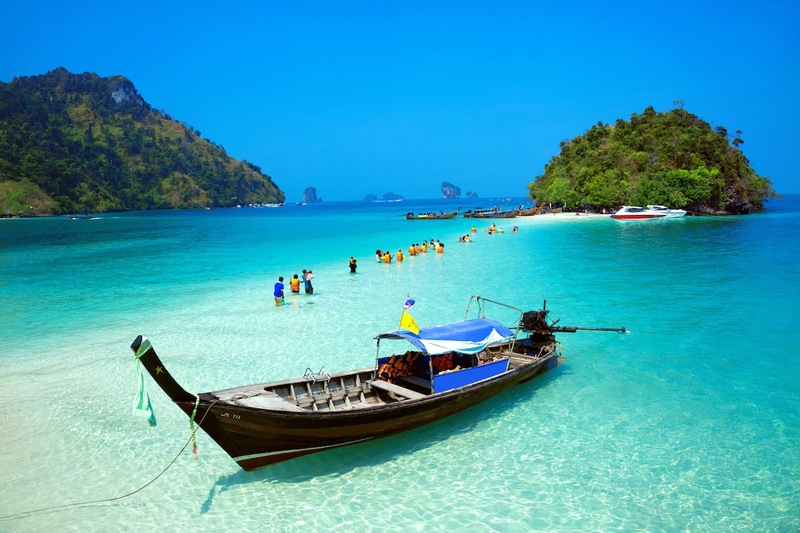 From Bangkok, take a flight operated by Nok Air to Krabi. 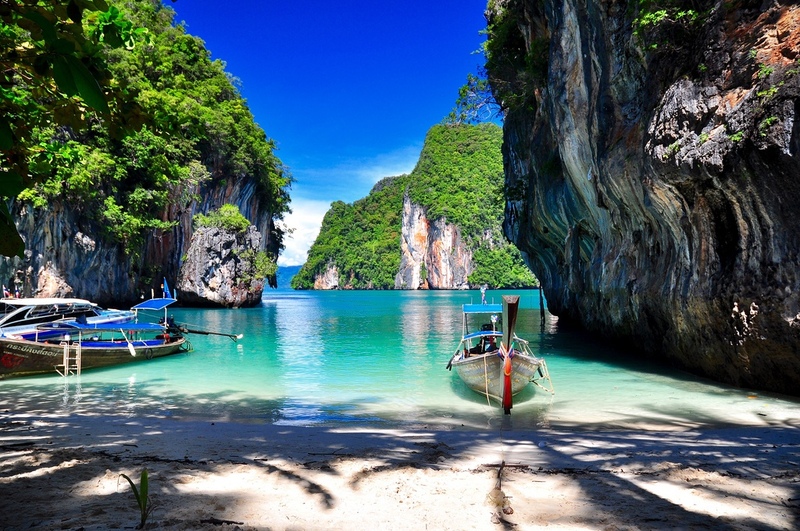 There is only on flight departing at 10:00am from Bangkok to Krabi. 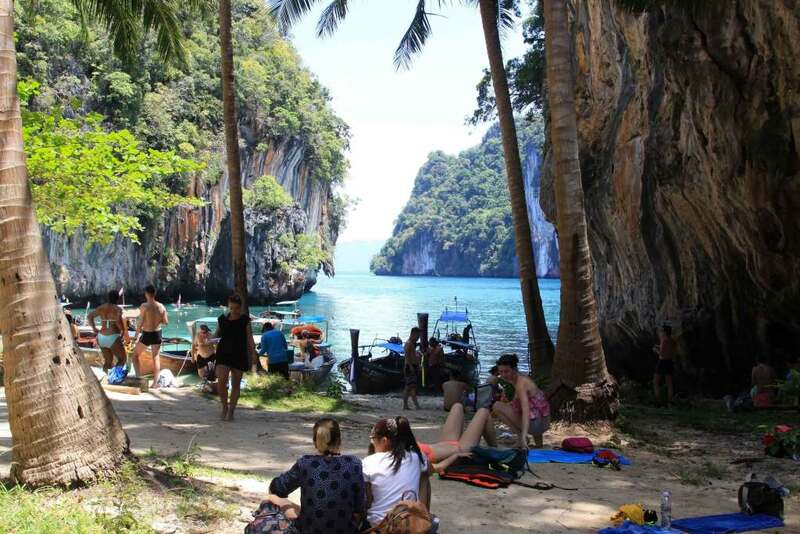 On the reverse route, the flight departs at 11:00am from Krabi. It could take you almost a day to travel by plane. You can also go by passenger car. 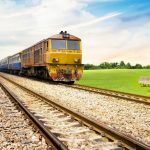 Please visit https://12go.asia/en for further information. It takes about 10 hours by car, from 8:00 pm to early morning the next day; however, the high-quality cars are very comfortable. There are many bus stations in Krabi. 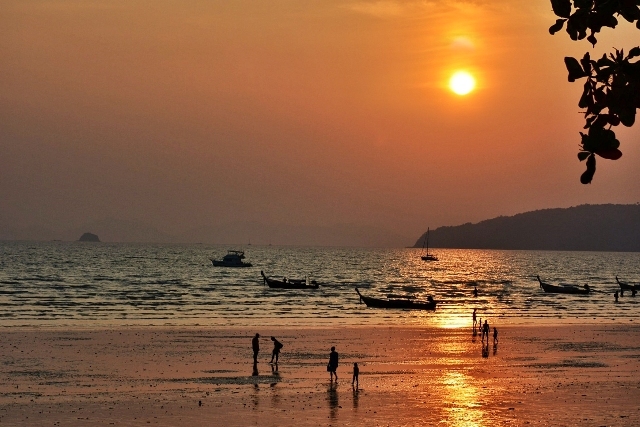 You can also take a car to Ao Nang. Express buses costs about 4USD/ ticket while a rental 4-seat car costs about 17USD/ day. 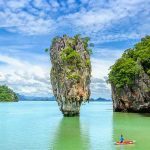 Search for a suitable hotel on Booking.com or Agoda.com. There are various types of accommodations from hostels to luxurious hotels. The average rate is about 17 – 23 USD/ night. Rent a motorbike to easily travel around Ao Nang for about 6-8USD/ day. Be noted that Thai people drive on the left side of the road. As it is located in southern Thailand where the majority of people are Muslim, pork is not widely served. Numerous restaurants open at 4-5:00pm serving fried prawn, grilled squid, fried squid, and steamed or grilled mussels. Dishes are quite cheap at about 2USD/ plate. 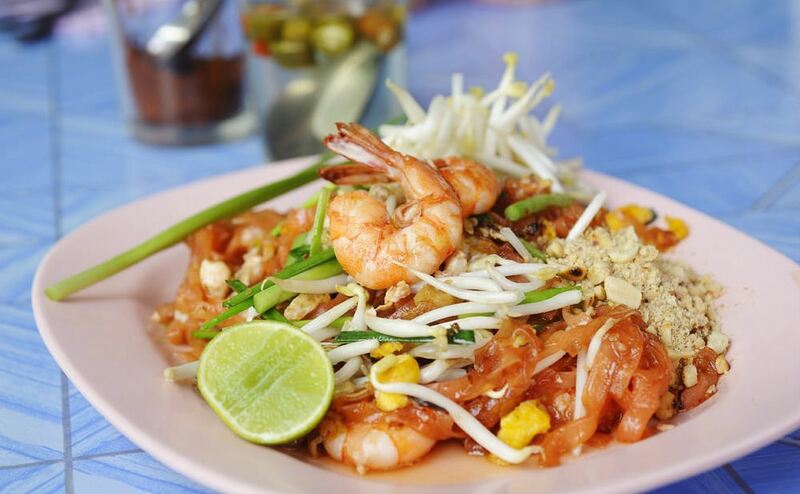 You should also try som tam (papaya salad) and tom yum (Thai sour soup). Remember to order “no spicy” or “mai phet” as the dishes are, typically, extremely spicy. Bring swimsuit, sunglasses, sunscreen, and necessary items with you. If you want to join different tours, you can buy waterproof bags from 5l to 20l, for 150 to 350 bath. 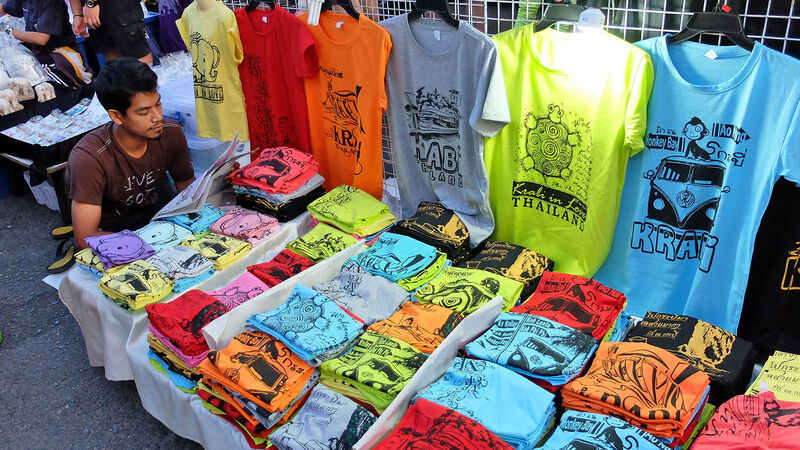 There are numerous shops selling souvenirs and T-shirts with the symbol of Krabi. Elephant statues are everywhere. 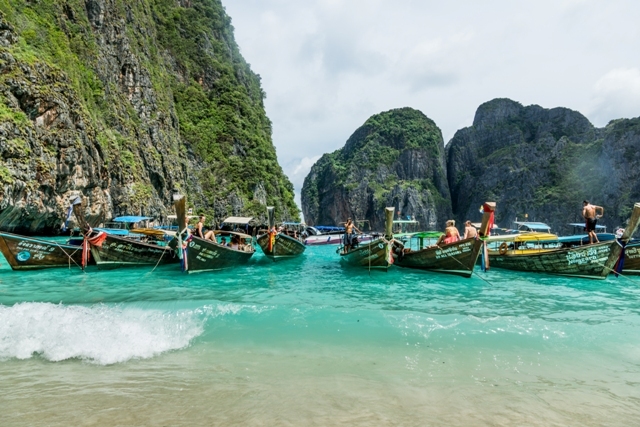 Magnets with the symbol of Krabi are eye-catching and can’t be found in any other place. Price: 100 bath/ 3 magnets. 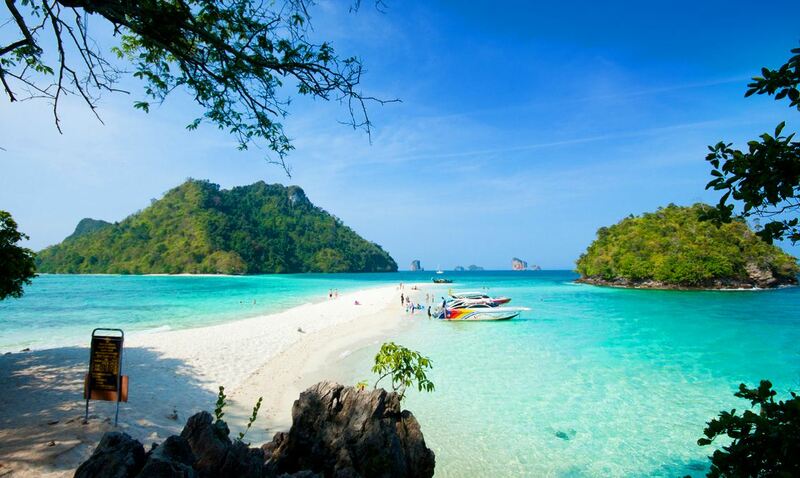 The Beautiful tropical paradise located on Andaman sea. 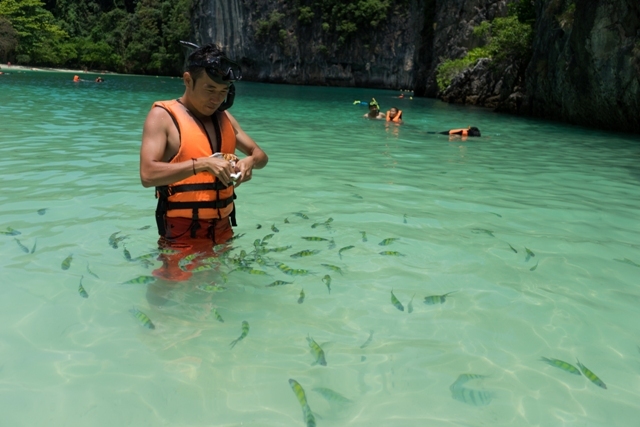 Visit Krabi don’t miss out Phi Phi Island Snorkeling trip. 100% you can enjoy the trip. Awesome blog, really touches my heart…my feelings!!!!! Well I have also found a very impressive Traveling vlog named “Capt.Steezy” on YouTube. This channel has very adventurous & interesting Vlogs so I suggest you to have a look once. For exploring more traveling vlogs, visit the channel & subscribe it and then press the bell icon here.